The house is a mansion of XVIII century, renovated with great care and love, respecting the original structure, reusing and exploiting the original materials to recreate the atmosphere of the ancient houses of Piedmont nobility living close to Savoy castles. Entering the house, the wonderful wooden floor of the lounge, with a herringbone pattern, is impressing. The red and gold wallpaper set the tone of the elegant country house. Completely at disposal of the guests, the lounge is the place for reading – in the bookshelf there is a choice of classical books in English and French – or drinking a liqueur in front of a chestnut fireplace. The kitchen, with the floor in the original “cotto” tiles, is dominated by the large hood. It’s where the rich breakfast is served in the cold mornings. At first and second floor, in the east wing of the house, the romantic guest suites open on the garden and on a large terrace, with a spectacular sight of hills, vineyards, orchards and hazel trees. Every morning an unforgettable view. The large, comfortable bathrooms - some of them with ceiling frescoed - are furnished with cast-iron bath-tubes and are thought for pure relax. All decors are inspired to French and Savoy’s Piedmont style. Every piece has been chosen either from family furniture or antiques market in Italy and France. The bed and bath linen comes from family grandmothers, with the charm of old laces. All suites have names of Savoy dynasty women: at first floor, Matilde and Mafalda. At second floor Margherita and Carlotta, while the romantic mansards are dedicated to Iolanda and Adelaide. And last, the cellar, with the traditional vault in red bricks. The stairs are in bricks and wood, to help in descending the wine barrels; now the cellar is partially transformed in a lounge for breakfast or wine tasting, furnished with a wonderful church cupboard, now used for the buffet. The rooms have women names, that bring back to the ancient royal family of Savoy and its princesses: Mafalda, Matilda, Margherita and Carlotta. 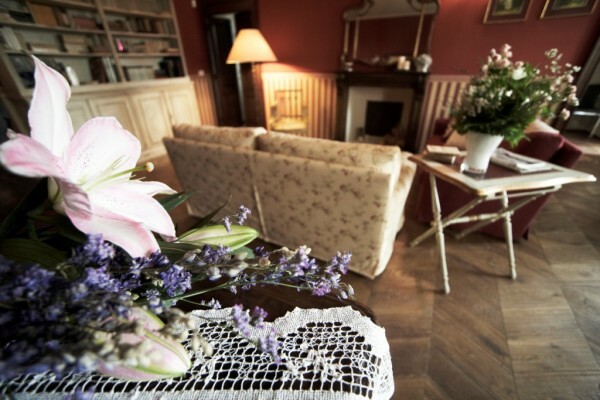 We have devoted special care in the restoration and furnishings; romanticism and charm to remind the sophisticated, elegant atmosphere of the French countryside. The old bathtubs, resting on lion feet, the antique floors recovered, the frescoes restored to the old glamour, old furniture found in the flea markets of Piedmont and France, and the household linen from the grandmother’s chest. Prices are per suite, per night (tourist tax included); the rich breakfast is included. Free of charge for our guests:private parking, wi-fi in all the house, the/coffee with homemade biscuits for afternoon tea, soft drinks, grappa and liquors for after dinner, bycicles. On request dinner in "table d'hote" in Cà Alfieri. To reserve and agree in advance. Ask for details ! We accept credit (VISA, MasterCard, American Express) and debit cards. The favorite moment of the day is breakfast in our family! In our family, three have celiac disease, so we face the problem every day. If informed in advance we can prepare our proven and guaranteed gluten free recipes. Let’s be tempted by our rich breakfast! At disposal for our Guest. No experiences yet with Cà Alfieri al 30. Be the first! 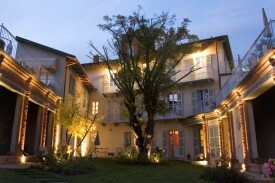 Did you stay in Cà Alfieri al 30? Let us know what you thought about it and help others to make the right choice! * I confirm having stayed in Cà Alfieri al 30. 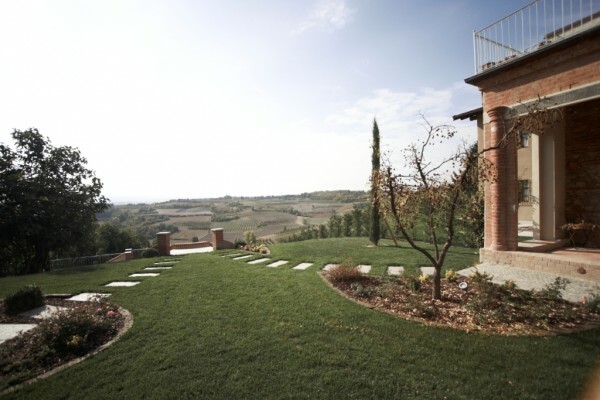 Find other bed & breakfasts in Govone or all bed & breakfasts in Piedmont.